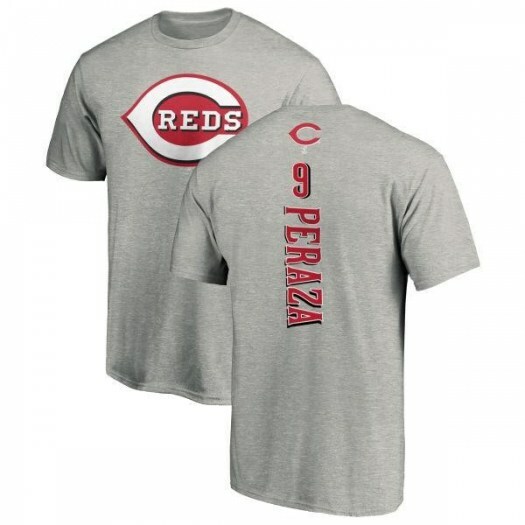 Make a statement on game day in a new Reds Jose Peraza Shirt so your status as a fan can't be questioned. 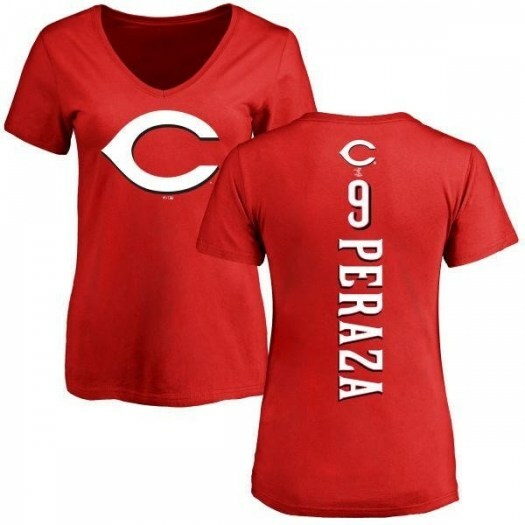 Reds Shop understands the passion that goes into gameday, which is why we hustle to make sure all types of Cincinnati Reds Jose Peraza T-Shirts are available for women, men and kids to wear as they cheer. Whatever style of Reds Shirt you choose to show off your spirit in, from performance Dri-FIT to long sleeve tees, tank tops and vintage Reds Shirts; they're all able to be scored in our Cincinnati Reds T-Shirts stock. 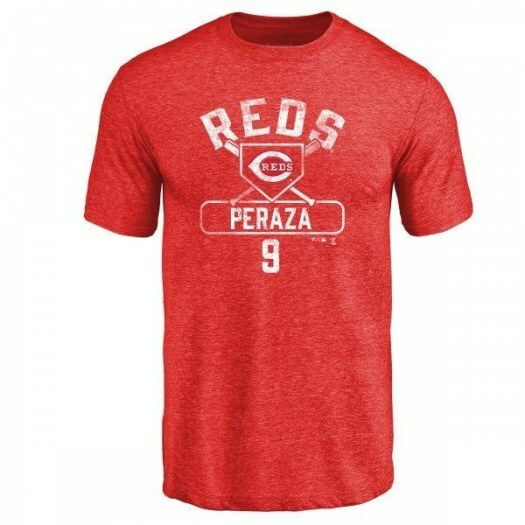 Reds fans have plenty to be excited about this season, so make the play for that new Jose PerazaShirt and get ready for all the action ahead. 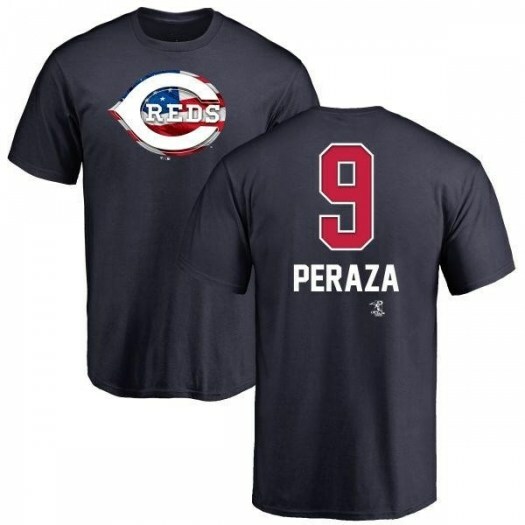 Jose Peraza Shirt There are 26 products. Find the perfect Cincinnati Reds look with this Jose Peraza Cincinnati Reds Women's Red Backer Slim Fit Long Sleeve T-Shirt - ! This fresh shirt features printed Cincinnati Reds graphics that'll make you stand out amongst the crowd. This sporty tee is a great way to incorporate some stylish Cincinnati Reds flair into your outfit! Find the perfect Cincinnati Reds look with this Jose Peraza Cincinnati Reds Men's Red Backer Long Sleeve T-Shirt - ! This fresh shirt features printed Cincinnati Reds graphics that'll make you stand out amongst the crowd. This sporty tee is a great way to incorporate some stylish Cincinnati Reds flair into your outfit! 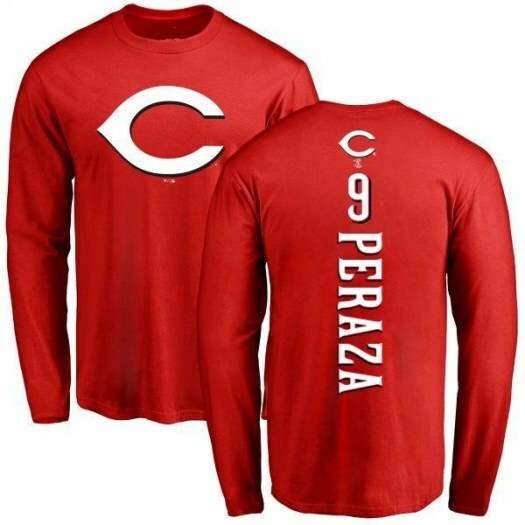 Find the perfect Cincinnati Reds look with this Jose Peraza Cincinnati Reds Men's Red Branded Base Runner Tri-Blend Long Sleeve T-Shirt - ! This fresh shirt features printed Cincinnati Reds graphics that'll make you stand out amongst the crowd. This sporty tee is a great way to incorporate some stylish Cincinnati Reds flair into your outfit! Your kiddo loves going to every Cincinnati Reds game and showing his/her team pride. Help him/her show off his/her die-hard passion with this Jose Peraza Cincinnati Reds Youth Backer T-Shirt - Ash. This tagless tee features bold Cincinnati Reds graphics to show off his/her pride. Be sure to add this tee to your little one's Cincinnati Reds collection! Your kiddo loves going to every Cincinnati Reds game and showing his/her team pride. 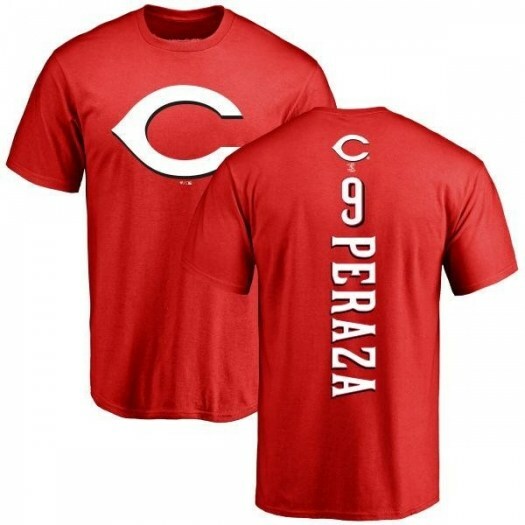 Help him/her show off his/her die-hard passion with this Jose Peraza Cincinnati Reds Youth Red Backer T-Shirt - . This tagless tee features bold Cincinnati Reds graphics to show off his/her pride. Be sure to add this tee to your little one's Cincinnati Reds collection! Find the perfect Cincinnati Reds look with this Jose Peraza Cincinnati Reds Youth Red Backer Long Sleeve T-Shirt - ! This fresh shirt features printed Cincinnati Reds graphics that'll make you stand out amongst the crowd. This sporty tee is a great way to incorporate some stylish Cincinnati Reds flair into your outfit! Find the perfect Cincinnati Reds look with this Jose Peraza Cincinnati Reds Youth Red Branded Base Runner Tri-Blend Long Sleeve T-Shirt - ! This fresh shirt features printed Cincinnati Reds graphics that'll make you stand out amongst the crowd. This sporty tee is a great way to incorporate some stylish Cincinnati Reds flair into your outfit! Your kiddo loves going to every Cincinnati Reds game and showing his/her team pride. 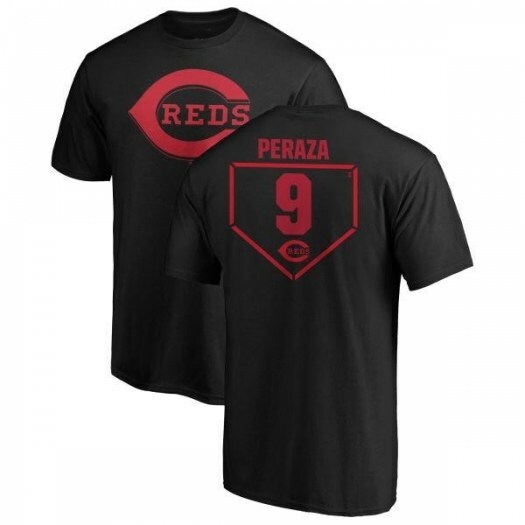 Help him/her show off his/her die-hard passion with this Jose Peraza Cincinnati Reds Youth Black RBI T-Shirt - . This tagless tee features bold Cincinnati Reds graphics to show off his/her pride. Be sure to add this tee to your little one's Cincinnati Reds collection! 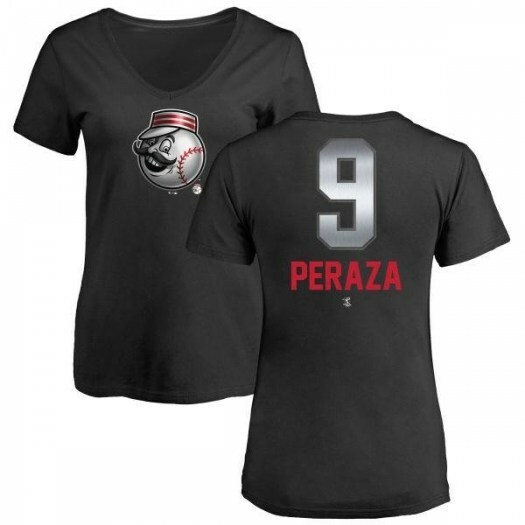 For a unique way to show off your Cincinnati Reds pride, get this Jose Peraza Cincinnati Reds Women's Black Midnight Mascot V-Neck T-Shirt - . This awesome tee features team graphics on the front and your favorite player's the name and number of on the back. It's the perfect thing to sport on game day so everyone can see your Cincinnati Reds devotion.